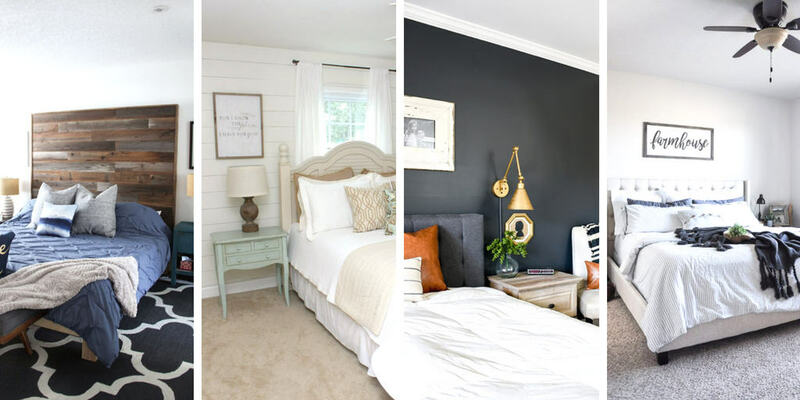 I began collecting Farmhouse Bedroom Ideas when we started remodeling our house. I wanted our bedroom to be a peaceful, inviting place. I wanted it to be a place to rest – but more… a place where my kids could climb up and get under the covers for a snuggle. A place where my teenager would lay across the foot of the bed and tell me her secrets. And a place where my husband and I could finish the conversation we started and stopped 3 times because raising kids is like chasing cats sometimes. A farmhouse bedroom embraces that feeling of family presence in a home. It overlooks perfection for comfort and a welcoming atmosphere. How do You Design a Farmhouse Bedroom? If you are anything like me, I was not prepared to toss out all of my old furniture and start from scratch. But that doesn’t mean I didn’t want to convert my bedroom into a space that made me feel good. 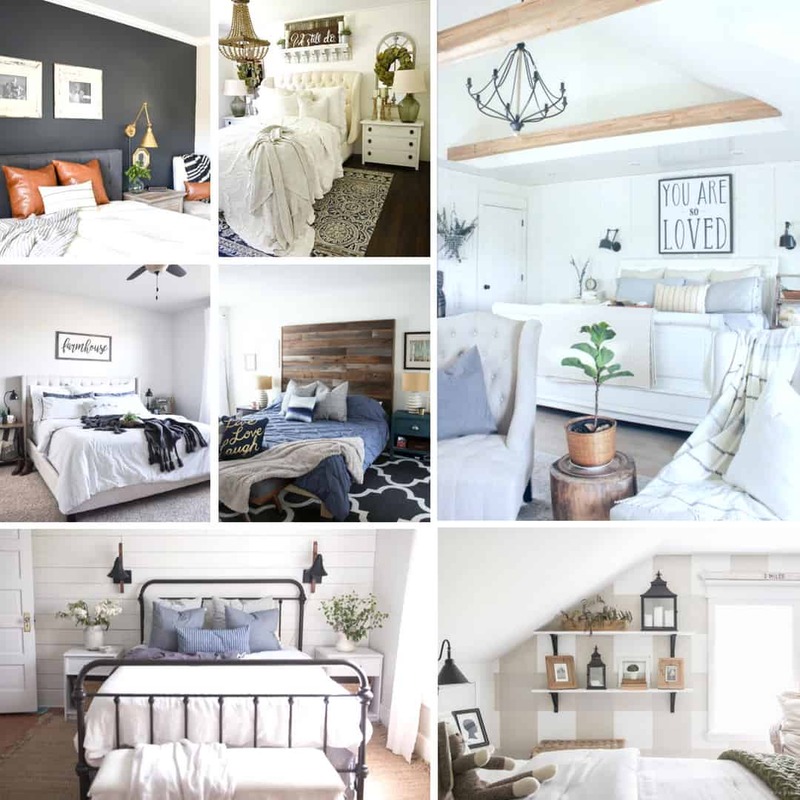 Here are some ideas I considered when designing my own farmhouse bedroom. Consider the color palette. All in all, paint is cheap. And an easy way to refresh the look of your room. Farmhouse paint colors focus on neutrals. But neutral doesn’t mean stark white anymore. Consider the ranges of antique whites, ivory, greys, blues, and greens. Plan for textures. I love a statement wall. You can certainly create that with color. But also consider texture on a wall. Wood slats, paneling, barn wood, or pallets all create beautiful visual focal points in the room. Also, don’t forget pillows, throws, and chairs that add texture to the room. Textures should be natural for a farmhouse bedroom. Nothing too contrived. And nothing over the top. Think about adding touches but don’t pour it into the room like water. Add vintage furniture – or make it. Okay, so you don’t actually make vintage furniture but you can make your current furniture look like it! Sand it down, paint it with a color you love, and sand again until you get the rough finish you love. Keep it practical. The best part about farmhouse style is that it is practical. Create a space you will really use. If that chair you like is one you won’t want your kids to sit in, move on. Create a comfortable place where you really want to live. Add a farmhouse sign to your new bedroom to make a statement about your family and what is most important to you. 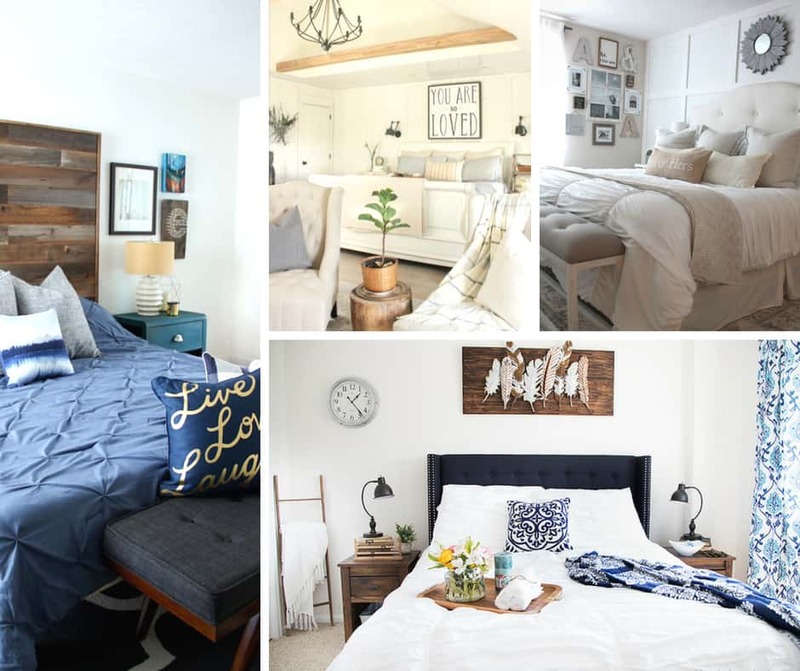 Keep in mind, you don’t have to redesign your bedroom over night. One of the most fun parts of creating a bedroom I really loved, was taking my time to do one project at a time. Pick one project at a time and enjoy the journey. Explore ideas and collect the ones you love. I used Pinterest as a way to collect what inspired me! You can find my Pinterest Farmhouse Ideas board here! More Farmhouse Style for your Bedroom! 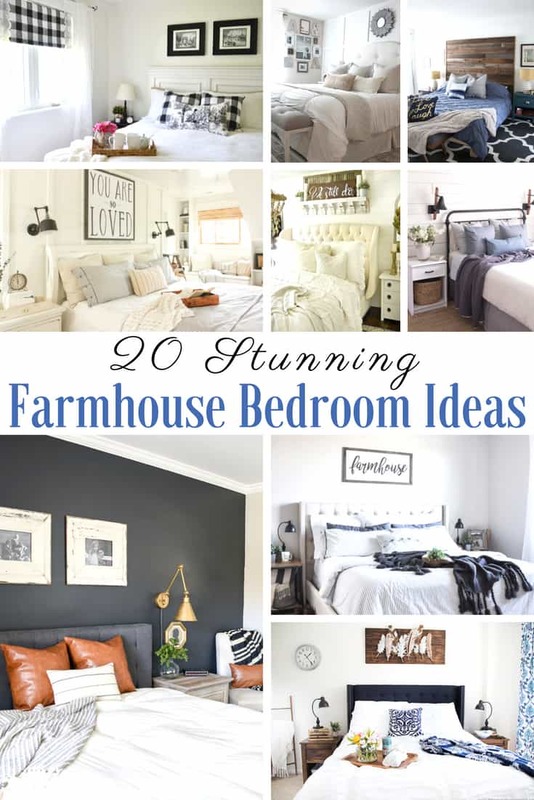 Looking for more Farmhouse Ideas? Check out Farmhouse Kitchens and Farmhouse Living Room ideas.